Mrs. Clayton and Ashley Rahe both watched the recent eclipse on the Holyoke High School football field. Ashley’s favorite part was when it got darker and colder, while Mrs.Clayton said she really enjoyed seeing all the kids getting to hang out and have fun experiencing this event. Mrs. Clayton was thankful that the school received glasses from community donors so that everyone was able to participate. “The glasses were cool,” Ashley agreed. After the eclipse started, there were some very obvious signs. Mrs.Clayton stated, “It was really cool, I liked the eeriness.” Both Ashley and Mrs. Clayton are looking forward to the next eclipse in 2045. Mrs.Clayton will be about 70 years old then, and Ashley will be 44. 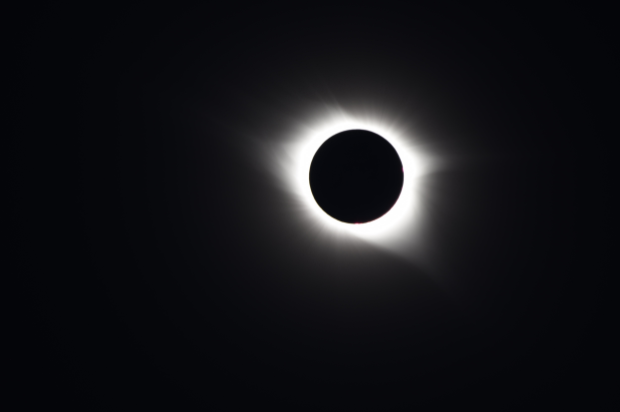 The eclipse was a very unique and amazing event to watch for all the students and teachers.